After facing three relatively easy opponents in the first three rounds, Roger Federer had to face his sternest today in of the leaders of the next-gen brigade, Stefanos Tsitsipas. And it was the Greek youngster who knocked out the six-time champion Roger Federer in an absolutely miraculous performance, 6-7(11), 7-6(3), 7-5, 7-6(5), to hand the Australian Open its biggest upset so far. 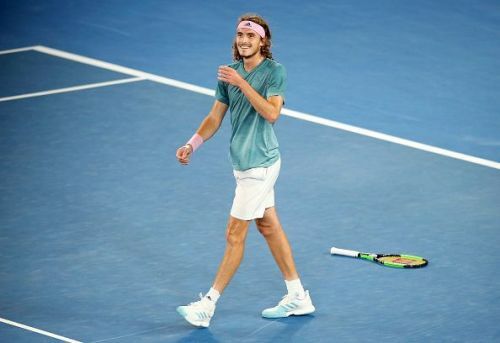 The match had one of the most bizarre starts as one will ever witness as Tsitsipas received two-time violations in the opening game and then went on to save a break point with an ace of a corrected challenge, while Federer complained to the chair umpire at that point wasn’t replayed. After that hold, Tsitsipas settled in nicely as he lost just one point in his next four service games while making Federer work hard on his delivery. Federer, though, even after being forced to go to deuce a couple of times, didn’t let the Greek have a look at a breakpoint with the help of some of those trusted serves as the set went to a tiebreaker. In the breaker, it was Tsitsipas who got the first mini-break with a powerful backhand pass but he gave away the advantage immediately with an unforced error off the same wing. Then at 4-4, Federer went up a mini-break with some attacking forehands off Tsitsipas’ second serve. But that lead also didn’t last long as the Greek responded immediately, forcing an error off Federer’s forehand. Both players then kept on plugging away on their serve, each saving multiple set points, before 11-12, where Federer finally converted on his fourth set point by extracting an error from the Greek’s forehand after he got distracted from someone in the crowd who yelled ‘out’ at his previous shot. The beginning of the second set was not very different from the first as Tsitsipas failed to make meaningful returns especially off his backhand wing but took care of his own deal even after staring down three break points in the sixth game. Then, after playing a long, grueling game at 3-4, where the Greek saved another break point, he played another long one at 4-5, this time saving three set points with some brave and aggressive display as this set also went to a tiebreaker. In the breaker, just like the first set, Tsitsipas got the early lead with the help of a Federer forehand error but the Swiss got it all square to 3-3 with a ridiculous backhand down the line winner. But after that, the 20-year-old won both the points off Federer’s serve, one of which came with a brilliant forehand winner up the line and then finished off the set with another forehand winner, this time cross-court, to make it one set all. In the early exchanges of the third set, both players still kept on keeping the opponent at bay with relatively comfortable holds. 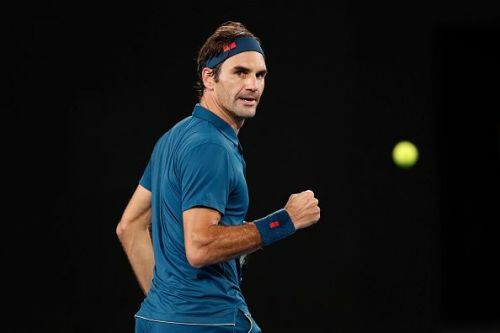 Then at 3-3, Federer came up with a couple of beautiful shots, backhand slice returns to earn two break points, but again, the 20-year-old came up with some miraculous shots to hold on. 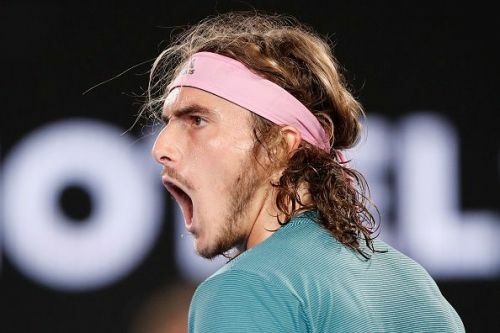 In the next game, though, it was Federer who stared down at 15-40, but Tsitsipas’ return failed him again as the Swiss managed to save those break points and leveled the set. And just when it looked like that this set will also be decided in a breaker, at 5-6, Federer played a poor game, making three forehand unforced errors, and handed the third set to the Greek youngster. In the fourth set, once again, both players looked relatively comfortable on their own deal and held on without much fuss. Even though Tsitsipas called a trainer in the middle of the set for a little thigh treatment, he still managed to maintain a similar level that he had kept throughout the match. Then, at 5-6, 30-30, when it looked it Federer would once again be broken while trying to stay in the set, Tsitsipas missed a couple of routine backhand returns as this set also went into a tiebreak. In the breaker, the Greek got the early mini-break, but then, Federer came up with a miraculous forehand winner on the run to get back on serve. After that, both players somehow managed to win the points on their deal until 5-5, where Federer made a backhand error to hand Tsitsipas a match-point on his serve. And the Greek obliged, forcing an error of the Federer backhand, and capped off an incredible upset to knock out the two-time defending champion in 3 hours and 50 minutes epic. In his maiden major quarter-final, he will face the Doha champion Roberto Bautista Agut, who defeated last year’s finalist in another 5-set thriller, 6-7(6), 6-3, 6-2, 4-6, 6-4, to go 9-0 this season. 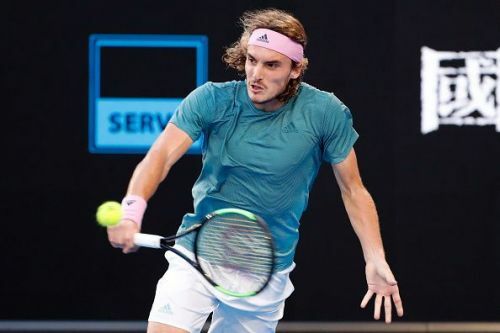 Podcast: Will Tsitsipas win the Australian Open?